Wonder how we get photos of infants sleeping in a swing hanging from a branch? Or most importantly, how the baby can be safe so high above the ground? With the magic of newborn composites! And plenty of experience and education on newborn safety, of course. What is a Newborn Composite? A newborn composite is one image that has been skillfully assembled from two or more images. We use this special editing technique to create whimsical scenes and adorable poses that wouldn’t be possible (or safe) otherwise. Hands and arms keeping baby in place are removed in Photoshop. And a digital background can be added to make it even more magical. The photo of the newborn quietly lying in a swing above the ground is a carefully edited image blended from multiple images, including one of the baby sleeping posed on a beanbag setting. The tree branch and hanging swing are added in post-production. The end result is a gorgeous portrait of a newborn in a peaceful forest scene. Why Do We Use Composites With Newborns? Safety is always priority! Some parents (and even photographers) are surprised to know that these newborns are not actually in those adorable poses. It’s not safe to pose them with their head propped up without support or it’s definitely not safe to put them in a basket hanging from a branch! That’s why it’s so important to work with a newborn photographer who knows what they’re doing. We love how composites give us free rein when it comes to designing scenery and posing delicate newborns, but the most important reason for including composites in our process is the safety of each and every baby who comes to our studio. Watch the Magic in Action From Posing to Editing! One of everyone’s favorite poses, the “froggy position” shows off all the sweet squishiness of a newborn without disturbing their slumber. Mom is nearby the whole time while my assistant safely secures the baby in position. You can see how we combine the photos in post-production into a single artistic image for the parents to fall in love with. Before the shoot, parents choose their favorite digital backdrop from our catalogue and we design the session around their vision by adding beautiful lighting and stylish props. After the session, we VERY carefully merge the image from the studio session with the digital backdrop. We’ve mastered the art of editing studio images so that shadows and textures are seamlessly blended into the scene. A lot of time and effort goes into every image and parents put trust in us when they bring their baby to our studio. It’s always worth it knowing we can deliver once-in-a-lifetime photos of their newborn during such a brief and amazing stage in their life. This is why we offer a composite image with our newborn packages. Browse through our catalogue of digital backdrops for inspiration! Photographing newborns requires a completely different set of skill sets than you would need for any other type of shoot. Newborns are delicate and unpredictable. It might seem easy to pose them once they fall asleep, but there are only so many ways to pose them that allow them to stay comfortable and look adorable! Professional editing is key for a photo like this, because it opens a whole world of opportunities to be creative. If someone attempted this photo without planning for a final composite image, it wouldn’t be safe for the baby. And newborn sessions should always be planned with safety as the top and main priority! 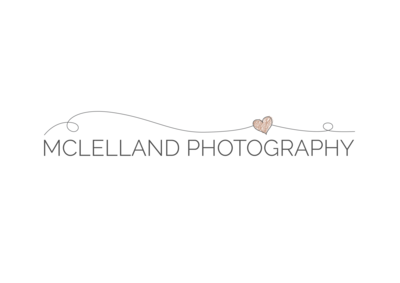 McLelland Photography is certified in newborn photography and newborn safety by the (APNPI) Accredited Professional Newborn Photographers International.